The boys Championship field is stacked with talent as 14 boys enter the race on Saturday with sub-16 credentials headlined by Ben Verchick (Union Pines) and Coen Roberts (Greer, SC) who come in with the top PRs of 15:28 and 15:36. Verchick's mark currently sits at NC#1 this season as does Robert's in South Carolina who has run a best of 15:46 in 2018. The field will also hold the current top 2 athletes out of Virginia in Daniel O'Brien (Virginia Episcopal) and Theo Woods (EC Glass) who have run 15:36 and 15:43 respectively this season. The field goes much deeper than that with Andrew Hammel (Christ School), Nickolas Scudder (Millbrook) Kyle Durham (Weddington) and Devan Crow (North Hall, Georgia) slated to compete. I think anyone mentioned above has the potential to win this weekend as there should be a major pack up front. Another guy to be on your radar is Dolan Owens (James Island) who won the Providence Invitational on this course as a sophomore clocking 16:10. He holds a PR from that year of 15:36 and has missed the last year with injury. This looks to be his first race since May of 2017 at the SCRunners Meet of Champions. Hammel and Roberts battled earlier this season at Eye Opener with Roberts posting a big comeback on Hammel who gapped the field halfway through the race. Scudder placed just ahead of Durham two weeks ago at Friday Night Lights (FNL) as the two finished 2nd and 3rd over a strong field. Scudder took the pace out early but was caught over the final 800 meters. Within North Carolina, Verchick looks to be the guy to beat so far, though he didn't see any major competition in his 15:28 debut at the Jungle Run. The field isn't just loaded up front as it should be pretty deep as well with 83 boys entered with sub 17 credentials and a lot of strong programs from 5 different states. Two guys have already dipped under 16 minutes on this course this season in Jake Toomey (Weddington) and Jason Thomson (North Lincoln) who ran 15:55 and 15:56 in at the end of August. 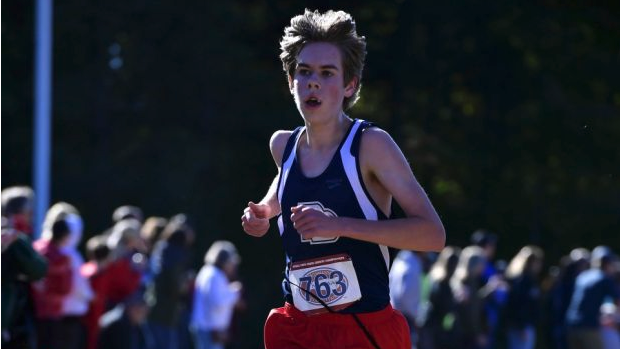 Freshman Nate Jaster (Weddington) has also been under 16 after running 15:57 at FNL two weeks ago. As we've been used to early in the season Weddington looks to be too stacked for anyone to contend with. Them dominated the states top programs at FNL two weeks ago and could possibly have 6 under 16 minutes at McAlpine this weekend. The Warriors are currently ranked #8 in the MileSplit 50 National Rankings. Behind them the battle looks to be for second between Green Hope, Providence Day and North Lincoln. North Lincoln is currently ranked #3 in North Carolina and still haven't really debuted their top team with Brian Risse and Johnny Grant not racing at the Providence Invitational. Providence Day showed a lot of promise after winning at WNC Carnival and are currently ranked #6 in NC based off this seasons times. This will be the first test for them on one of the states faster courses. Sophomore Christian Landis' 16:13 at WNC could very well show that he's going to be a guy in the lead pack for the Chargers tomorrow. Green Hope has only raced at FNL this season and are currently ranked #8 in North Carolina. The Falcon's are certainly capable of posting a drastic improvement on that ranking with a good performance this weekend. Also keep an eye on Broughton who has been solid through three runners, but need a bigger performance at 4/5 to contend with the top 4 teams. Christiansburg is currently ranked #5 in Virginia this season and could be a team to keep an eye on as they head to a fast McAlpine course.